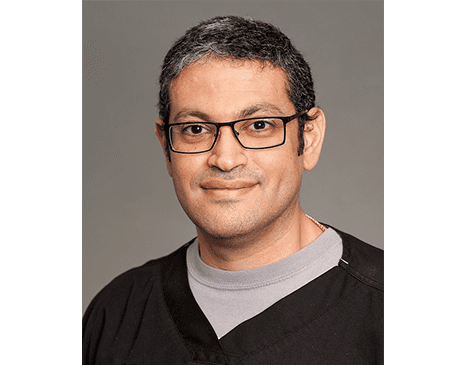 Joseph Sedrak, MD, FAAD, FACMS, FASDS, is a board-certified dermatologist serving patients of all ages from in and around Kingwood, Pearland, Houston, and its surroundings. As a founder and Medical Director of EpiDermatology, Dr. Sedrak is honored to play a role in improving the health and wellness of those who entrust him with their care. Dr. Sedrak graduated #1 in his Medical School class with a perfect 4.0 GPA. After completing medical school, he spent a year training in general surgery at the University of California Los Angeles. He refined his skills through an intensive dermatology residency at Loma Linda University where he continued to excel in all exams and ranked in the top percent of all dermatologists nationwide. Dr. Sedrak’s dedication to continuing education led him to complete a fellowship in Mohs Surgery and Procedural Dermatology, where he was honored to train with world-renowned dermatology and Mohs Surgery expert Dr. Abel Torres, past-president of the American Academy of Dermatology. Dr. Sedrak is trained in all areas of dermatology, including surgical, medical, and cosmetic procedures. His study alongside plastic surgeons helped him develop advanced skills in skin surgery and the ability to treat complex cases. Now in practice for more than a decade and after treating tens of thousands of patients, Dr. Sedrak remains excited about advancements in dermatology tools and techniques. Dr. Sedrak and his team make every effort to expand their skills and training through continuing education opportunities. He reviews the latest treatment platforms to equip the office with the tools needed to provide top quality dermatology care. A native of Southern California, Dr. Sedrak grew up swimming and body boarding along the beaches of Orange County. He and his wife moved to Houston a decade ago to build a thriving dermatology practice and raise their four daughters. When not working with patients, you’ll find Dr. Sedrak showing his children all that this wonderful area has to offer.